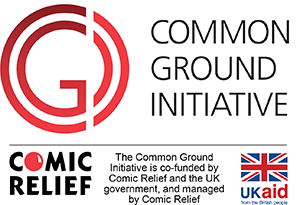 On Wednesday 18th June 2014 Comic Relief, under the Common Ground Initiative (CGI), held the Africa in Action Conference at Central Hall Westminster in London. The event was an opportunity to highlight the contributions of UK-based African diaspora organisations and activists to international development. It brought together UK’s diaspora practitioners in international development as well as senior diplomats, MPs, NGO representatives, funders, the media and others to reflect on the diaspora’s impact to date and look at how its role might evolve in the future. The keynote address was be delivered by Rt Hon Justine Greening MP, Secretary of State for International Development. The African diaspora play a significant role in their countries of heritage. Diaspora remittances to Africa are known to be a crucial lifeline for many families. The diaspora provide start-up finance for new businesses – as well as being consumers of goods and services from the countries of origin. Migration brings opportunities to acquire new skills, knowledge, and perspectives. It was because of all this that Comic Relief and the Department for International Development developed the Common Ground Initiative (CGI) four years ago. The Initiative supports African development through UK-based diaspora and other small organisations. In addition to making grants, the initiative has supported diaspora leadership, deepened understanding of the contribution of the diaspora in the media, and created new opportunities to enable diaspora voices to be heard in development debates. Follow this link, CGI June 2014 Conference Report, to read the short report which captures some of the issues that were highlighted on that day. No Comments to "CGI June 2014 Conference Report"